SAN DIEGO, Calif. (CBS 8) -- District Attorney Bonnie Dumanis announced Wednesday she plans to meet with the family of a young mother, murdered last week on the campus of San Diego City College. The DA's office has come under fire for not filing felony charges in an earlier domestic violence case involving the estranged husband of the murder victim, 19-year-old Diana Gonzalez. Dumanis appeared at the Mid-City police department in City Heights Wednesday as part of a news conference to promote domestic violence awareness and prevention. "All of our hearts go out to Diana's family and friends," Dumanis said as she opened the event. "I can't imagine the pain that they are feeling right now." For the first time since Gonzalez's murder on the evening of October 12, Dumanis fielded questions from reporters. Dumanis said she wants to meet with family members of the victim in private to address their concerns about her office's handling of the case. "I would discuss it with the victim's family. In fact, I have plans to see the victim's family," Dumanis said. The DA would not answer questions from reporters in any detail, however, about why her office declined to file charges in the earlier case last month; when Gonzalez's estranged husband – 37-year-old Armando Perez – was arrested on suspicion of assaulting, kidnapping and sexually assaulting Gonzalez. Perez is now believed to be hiding in Mexico. The district attorney filed murder charges against Perez Friday. Three weeks before her death, Gonzalez reported to police Perez had choked her to unconsciousness near the City College campus, kidnapped her, and repeatedly raped her in two different motel rooms over the course of three days. The police report notes, "there was redness to (Gonzalez's) entire face, and her forehead and cheeks were covered with small red spots." The report also details a half-inch diameter bruise on Gonzalez's inner wrist. 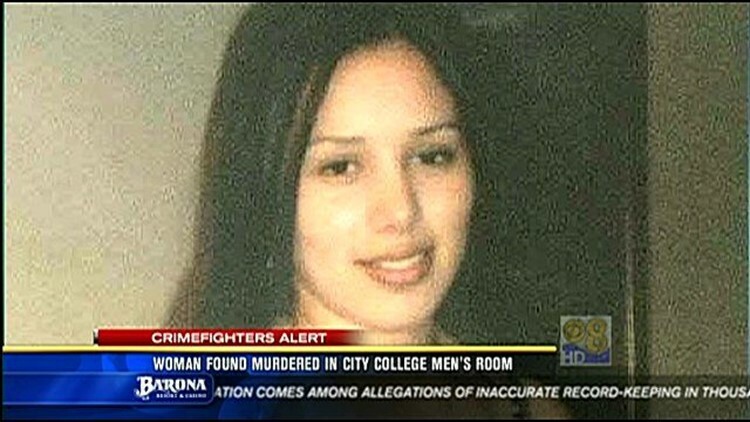 A sexual assault exam was performed on Gonzalez at the time, according to the report. Officers arrested Perez September 24, but prosecutors did not file charges and he was released from jail five days later. "We don't file cases where there is insufficient evidence to support a conviction beyond a reasonable doubt," Dumanis said. "That's our threshold in every case and, as you know, that was not met in this case and that's why chargers were not filed." Dumanis declined to answer questions about the supporting evidence in the kidnapping case and whether Gonzalez had been cooperating with the investigation before her murder. Gonzalez obtained a restraining order against Perez one day before he got out of jail. At Wednesday's news conference, one reporter asked Dumanis, "So, you're not prepared at this time to say that your office made any mistakes in dropping these charges?" Dumanis responded, "I'm not prepared to discuss this case at all. We do our own internal review and we will continue to do that." The victim's sister, Janette Gonzalez, believes prosecutors dropped the ball by not pressing charges in the kidnapping case. "There was enough evidence for them to do something about it," she said. "I think if they would have pressed charges on him, she would still be (alive). I don't understand why or what they needed." As for meeting with Bonnie Dumanis, Janette Gonzalez said she mainly wants to know what's being done to bring Armando Perez to justice. She said, at this point, nothing can bring her sister back. "All we want is for this not to happen again," she said. "I mean, hopefully, they get the message and this doesn't happen to anybody else." Dumanis said she will take questions from the media after the case has been adjudicated. Meanwhile, San Diego Crimestoppers is offering a $1,000 reward for information that leads to the arrest of Armando Perez.